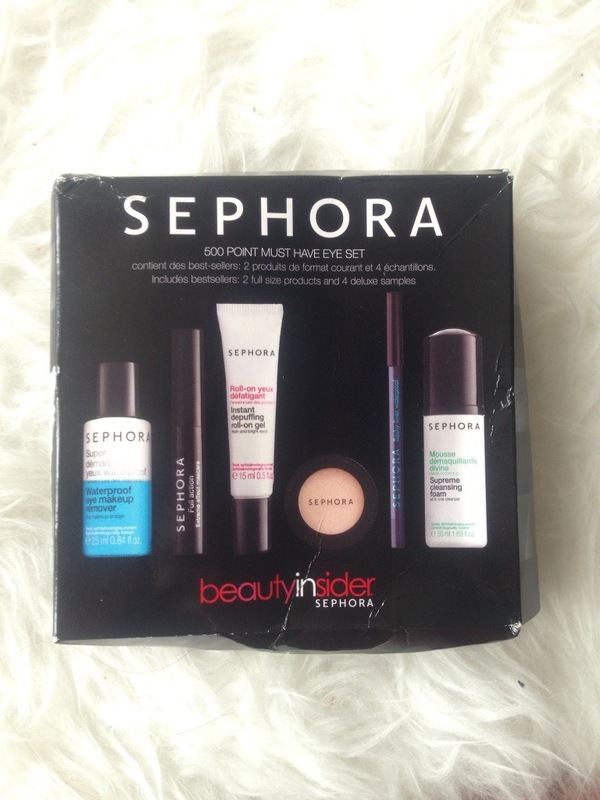 Just In: Sephora 500 Point Must-Have Eye Set | Becky Alyssa's Beauty Box. Last week I found myself browsing Ebay.com – American Ebay – for Sephora goodies. I’ve been away from the US for 9 months and have been missing it (and its shopping) a whole lot! 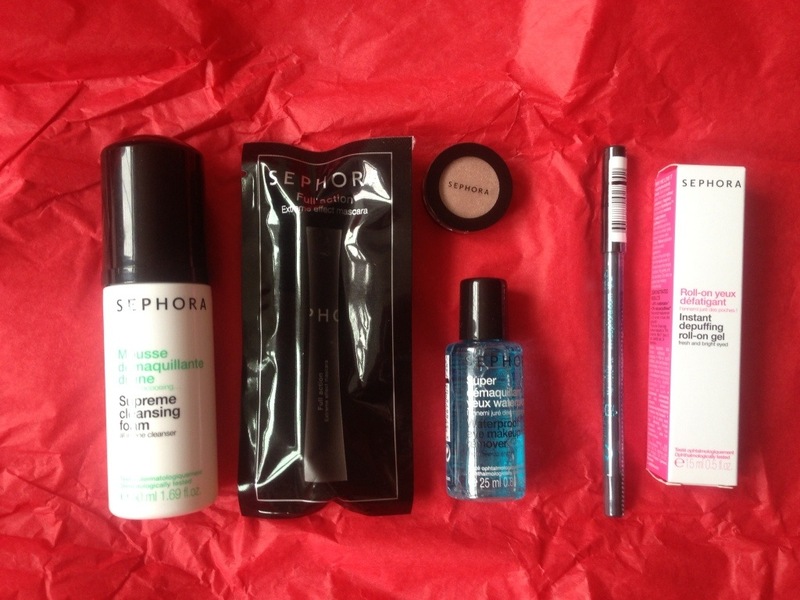 When I spotted this Sephora own-brand gift set I had to bid on it – 6 mini and full-size exclusive goodies, how can I say no? I paid around £16 including shipping from the US, slightly more than I’d like to have paid since I’m a cheapskate but not unreasonable. The products arrived in just 6 days, no import charges and the transaction was super-easy – why do so many American sellers & brands still refuse to post internationally again? The box was sealed so I knew it was brand new as described, but I guess the seller smoked as the package smelled a bit smoky – I’m really sensitive to it as I’m asthmatic and so I don’t normally buy anything from sellers who admit they smoke. At least the products are new and sealed so hopefully it shouldn’t be a problem and nothing a baby wipe can’t solve..I hope! Yay, presents in the post! Slightly squished but not a problem..
All wrapped in red tissue paper! Can’t wait to try these – I’m hoping to go back to the US in September so the mini products would be perfect for my suitcase, since I like to maximise on luggage space in order to buy loads of clothes over there. I also noticed all of these products are made in Europe, mostly France – so why aren’t they sold here? Although my bank balance would be permanently below zero, I’d love to be able to shop at Sephora in the UK. Anyone tried any of these products? What do you think of Sephora own brand makeup/skincare? And can anyone shed some light on why exactly we don’t have wonderful makeup superstores like Ulta and Sephora in the UK? This entry was posted in Uncategorized and tagged ebay, just in. Bookmark the permalink.